Thank you, thank you, THANK YOU, sweet Ally. You are a doll. Perusing through the photographs in the 200+ pages of this book really sets my imagination on fire. 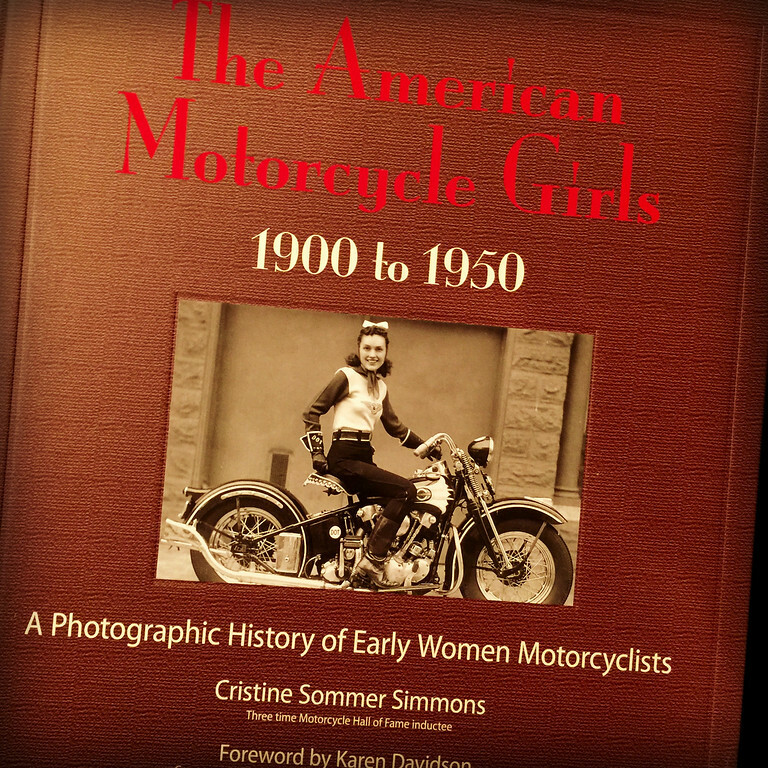 We can pat ourselves on the back for being brave new generation of women motorcyclists but we need to respect our history. A proper curtsy is due to the ladies who paved the way for us back to the genesis of the sport. Sweet! Such a great gift! Oh, that – is – COOL! I love old photographs–their stories seem to grow as time passes. I believe that if one can successfully mute their environment and open their ears, they can virtually hear the tales that vintage pics have to tell.